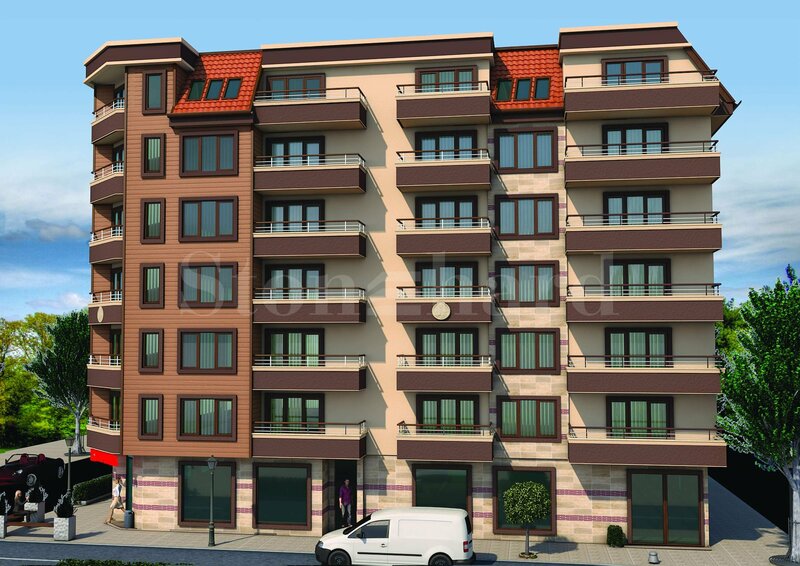 We present to your attention the residential building St. Nikola 2 in Bratya Miladinovi district of Burgas. In addition to the wide variety of one-bedroom, two-bedroom and three-bedroom apartments, the building will have parking spaces, shops, exhibition area and restaurant. The dwellings are characterized by a communicative location in close proximity to a kindergarten, schools, as well as the Burgas Free University, set under the Cadastre Agency, almost the same distance from the sea, the city center, as well as most of the big retail chains and complexes. 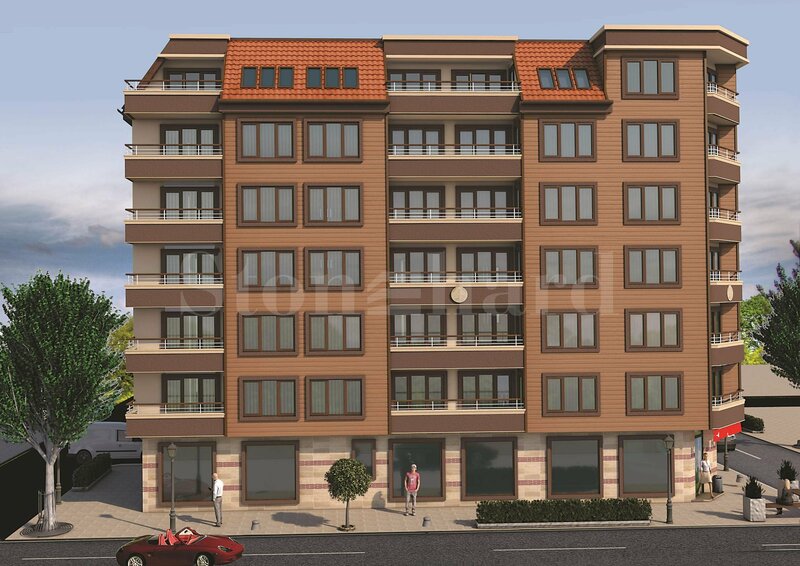 The project "St. Nikola 2 "is a residential building that will be built on a yard of 688 sq.m. It consists of 2 underground, one ground and 6 residential floors. The two underground floors will have parking spaces and warehouses. On the ground floor - several shops and garages. The 6 residential floors will consist of apartments of different sizes and prices (from 50.82 sq.m. to 112.41 sq.m.). - Walls and ceilings - plaster. - Travertine natural stone facing on the ground floor and a combination of Austrian Ventialite veneer and mineral silicone plaster on the other floors. • Vertical planning - implemented according to the project. - Maintenance of the lift and electricity bills, etc. 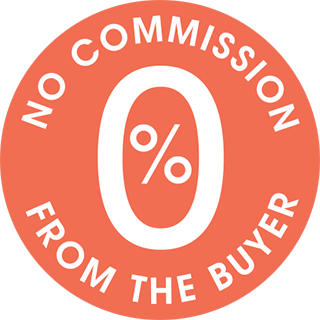 All apartments in the building will be offered for sale unfurnished. "Bratya Miladinovi" is a residential district in Bourgas, situated between the boulevards "San Stefano", "Democracy", "Struga" and "Todor Alexandrov", as well as bordering the neighborhoods of Vazrazhdane, Lazur, Center and Slaveykov. In the area are set the Bourgas Free University, the High School of Tourism, other prestigious high schools, one of the biggest primary school in Burgas - "Bratya Miladinovi", the Orthodox Church "St. Ivan Rilski ", the New Post office, the Radio and Television Tower and Cosmos Hotel. • Fifth installment - 10% of the value of the preliminary contract upon signing the notary deeds. Completion of the building - December 2018.